In 2007, author Cassandra Clare released her book City of Bones, which became a six book saga that made up The Mortal Instruments. The popularity of the book spawned a whole Shadowhunter Chronicles series telling different arcs of this world. The series became so incredibly popular that Constantin Film Produktion picked it up and made it into a movie… Needless to say, it didn’t receive such raving reviews despite having a great cast of actors. But even so, ABC Family announced that they had picked up the idea and were adapting it for a television show -something fans were excited for. I myself was never really a fan of the series. I enjoyed the idea and the world that Cassandra Clare had created, but I never really found her writing to be enticing. Then, Clare received some awful accusations about plagiarism within her books (I won’t go on about it too much, but if you type in her name on Google, you are sure to find some article on it), and although that turned me off for a while, I still read the books simply to know what happened to the characters. In 2013, when the movie was announced, I did see and enjoy it, but mostly because Lena Headey (Cersei Lannister, Game of Thrones) and Robert Sheehan (Nathan Young, The Misfits). 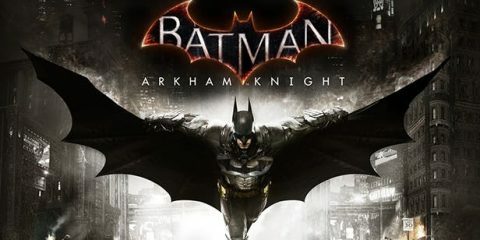 That is why when I found out it was being adapted as a television show, I decided to give it a chance. Warning: spoilers ahead! 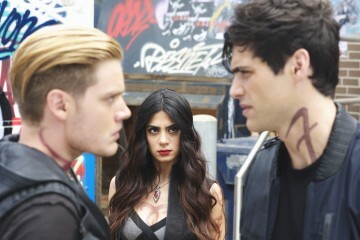 The three main shadowhunters of the series open up the show as they are hunting down a demon. As they follow him, the demon is quick to change it’s appearance by mimicking people it touches. The three shadowhunters follow the demon into a club, to which our protagonist, Clary Fray (Katherine McNamara), bumps into them. Upset, she tells one of them to watch where he is going and he is surprised that she is able to see them. The setting then jumps back eight hours where we find Clary applying to art school. Her artwork contains many mysterious symbols, which the administrators love. She goes to a cafe to tell her best friend, Simon (Alberto Rosende), that she was accepted, to which he decides they must celebrate this news and her eighteenth birthday with drinks later that night. Viewers see here that Simon is in love with Clary even though she does not see it herself. After this, we are introduced to two other characters who seem to both be hiding secrets. Luke (Isaiah Mustafa) is a detective investigating another murder of a body drained of all its blood. In this scene, it is revealed right away that Luke may have some sort of evil in him as his eyes change colors, which frightens the dog (frightening a dog is grounds for evilness right?). Dott (Vanessa Matsui) seems to enjoy reading tarot cards and works for Clary’s mom. She seems worried that it is Clary’s birthday, but Clary brushes it off to go upstairs and see her mother. For her birthday, Jocelyn (Maxim Roy) gives Clary a stele, which she describes as a family heirloom. Although Jocelyn tries explaining to Clary why it is important, Clary brushes off her mom in order to get ready to go out with her friends. In a flashback scene, we see how Jocelyn, with the help of a warlock named Magnus Bane (Harry Shum Jr.) have been erasing Clary’s memories in order to hide the magic that has been surrounding her all her life. Frustrated with her mom, Clary complains to her friends that her mom is always so concerned with her, to which her friend expresses that maybe her mother is hiding something. Clary dismisses this as she believes her mother would never hide something from her (spoiler: she does). While Clary is flustered with the pain of having a loving mom, we see where the shadowhunters operate. 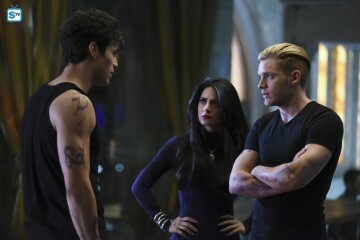 Jace (Dominic Sherwood), Isabelle (Emeraude Toubia) and Alec (Matthew Daddario) walk around a busy and technologically advanced lab where they find out which demon they need to eliminate to save the mundanes (shadowhunter speak for “normal humans”). As they chase the demon into the Pandemonium club (whose lights don’t work and flash “demon” every so often…), Jace runs into Clary, taking us back to where we were at the beginning of the episode. Clary runs after Jace into the club and follows him behind a curtain. She is astonished that he is about to kill someone and tries to stop it, only to find out that the woman is a demon. The shadowhunters manage to eliminate the demons in a pretty cool fight scene. Freaking out, Clary runs home to explain everything that happened, however, unbeknownst to her, members of The Circle have followed her from the club. Jocelyn understands what’s going on and with a warning from Dot, sends Clary to the police station where she will be safe with Luke. The Circle members come in demanding the Mortal Cup from Jocelyn so that they can give it to Valentine. Knowing full well this is what they came for, Jocelyn drinks a potion which puts her to sleep. She doesn’t want to be a part of your world Jace! Meanwhile, in Chernobyl, Valentine is seen injecting blood (probably that which was taken out of the bodies of the mundanes in New York City) into some sort of demon-like creature. Member from the Circle are there and they express their hatred for Jocelyn. Valentine kills one of them for being disrespectful towards her, hinting at some unknown history between him and Jocelyn. At the police station, Luke is also being questioned by members of the Circle. Luke explains to them that he was only friends with Jocelyn to obtain the Mortal Cup for himself and that he will not make any agreements with the Circle. Clary overhears this and has an emotional breakdown, as she now feels like she has no one to trust or protect her. She goes back home to find Dot waiting for her in the now burned down apartment, asking ridiculous questions that Clary doesn’t understand. The demon reveals itself to her and Clary begins to cry and yell – and is ultimately saved by Jace. He takes her to the Shadowhunters lair where Clary is still unable to make sense of what is happening to her and explains that she wants no part in it. More demons follow her to the lair and Jace saves her again, this time finally showing himself to Simon, who followed Clary. 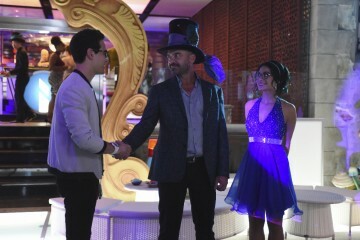 The episode ends with Valentine stating that if Jocelyn has a daughter, he needs to meet her. Problems? The main issues I find (in this episode at least) is that the acting is awkward at times and the terrible script does not help. The writers focused way too much on relating this show to millennials. They add words like “hashtag” into a normal conversation and Clary brings up Twitter at least four times. Clary is also portrayed as extremely obnoxious; she is constantly complaining and interrupting other characters when they try to speak to her. For example, people are trying to explain who she might be and she just dismisses what they are saying, obviously to portray her as freaked out – but it just comes off as annoying. As well, some of the scenes are very tacky: Clary uses words like “mundane” to describe her life (remember mundane is a nickname shadowhunters give to humans), the neon lights flashing demon when they follow the demon into the club, etc. Even though a lot “happened” in this episode, nothing really occurred that would advance the plot and the episode was just mediocre. Verdict? I am willing to give it another shot. Pilot episodes aren’t always fantastic as the team might still be finding their comfort zone. As well, it is an ABC Family show and it will be aimed at teenagers, which could be a reason I was not that much into it. In the end, this episode was aimed towards setting up a new world and introducing characters to its viewers, which it did. Hopefully next week will provide a much better episode.